OTONEWS - Ford GT car design to date is the most wah work among Ford, so it is not used by other Ford cars, even philosophy once. 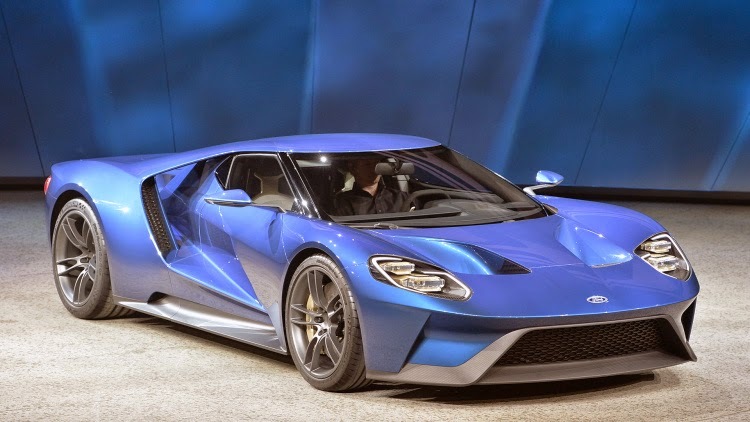 However, now such a thing will not be valid anymore, Ford will use filofosofi desian Ford GT to other models makes. Assertion was announced by Head of Ford Motor Company designs, Moray Callum, as a speaker at the WardsAuto Interiors Conference at Cobo convention center. Detroit United States. Folosofi intended design is, simplifying the location and rejuvenate the use of all the key features as well as expand the range of view of the driver, and a compact cabin space. "GT is an example of the most efficient use of space," he said. Efficient use of space, said Callum, is required to incorporate the most basic functions of the car with advanced technology carried. Thus, no wonder if the low car roof and seats that fit the body of the driver or passenger. For the initial stage, the philosophy of the Ford GT will be used by the crossover Ford Taurus. Reportedly Ford models will be sold in the Chinese market and other Asian countries. While the latest generation Ford GT will be launched in mid-2016. The latest version of this GT will carry the design of which has been improved in accordance with technological developments and the needs of the user, the touch screen for navigation, for example made small lebil. It was intended that the air bag can inflate the maximum in case of an accident. No Comment "Now, Another models of Ford Wear Ford GT Design Philosophy"